← What Will They Say When You’re Gone? I felt a creative ache inside of me for years. I wanted to write a children’s book. I had an idea, I had the talent. But with seven kids, and laundry my constant companion, I felt constantly discouraged. Then came the year my 11 year old daughter Lisa had to choose an author to research for 6th grade. She picked Harriet Beecher Stowe*. And what a lot I learned from Lisa’s report. 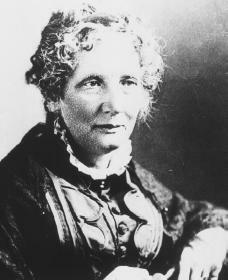 Harriet Beecher Stowe, like me, had seven children. Unlike me, she had NO running water, and NO washing machine! 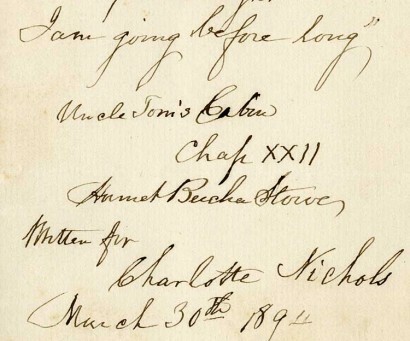 And yet, she still managed to write over 30 books, including ‘UNCLE TOM’S CABIN’. Without a typewriter or computer. THE RICHEST KID IN THE POOR HOUSE. In the story, a boy is disappointed with his family until he gets a hamster who doesn’t appreciate him. By the end of the story he learns a lesson that changes his attitude from Greed to Gratitude. Read more by clicking on the picture of the book. There are only a few copies left, so if you’d like one, order it before they’re gone. Stories can inspire us to overcome our obstacles. Maybe someone needs to hear YOUR story. Since we are an all volunteer organization, we get no salary. 100% of your donation is Tax Deductible, and is used to create media for children’s character. Please help! When you do, you’ll receive a free download of Ruth’s Art Textbook for Kids! This entry was posted in Art, Character Development, Child Development, Children, Education, Ethics and Character and tagged book reports, civil rights, freedom, Harriet Beecher Stowe, Henry Ward Beecher, injustice, mistreatment of blacks, segregation. Bookmark the permalink.